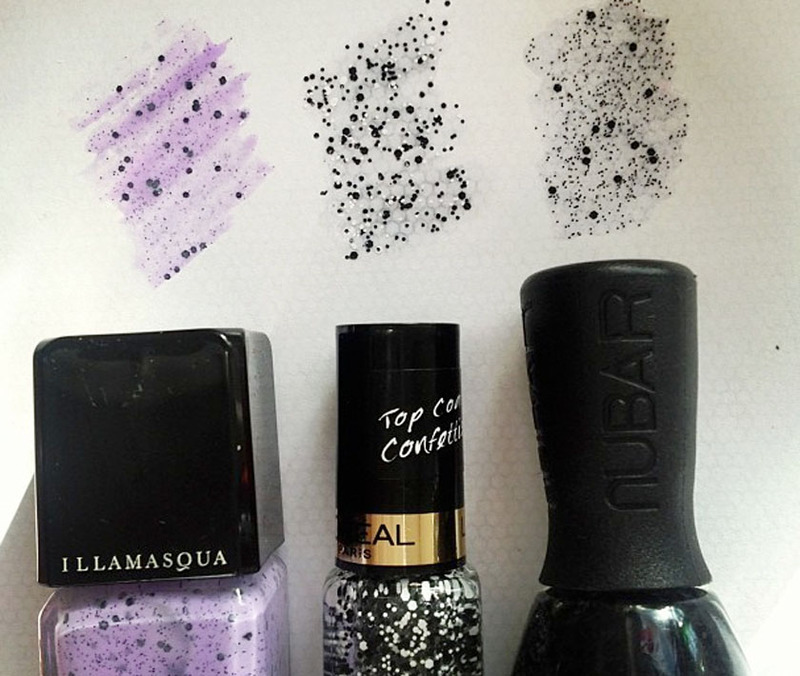 I always wanted to try one of Illamasqua's Speckled Nail Polishes, but I very rarely spend more than £10.00 on a bottle of nail polish. 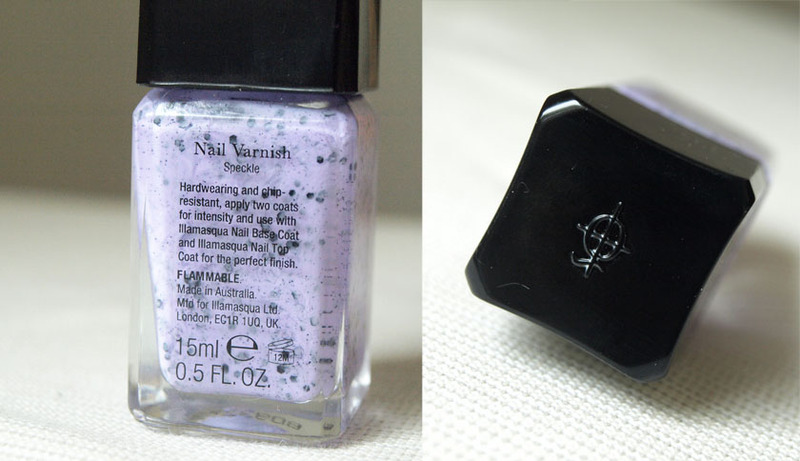 The regular price of this beautiful nail varnish is £14.50, but... I managed to get it for £7.50! Illmasqua's sales are fantastic and since I discovered the brand, I always keep an eye on their twitter to stay up to date with discount codes and offers. 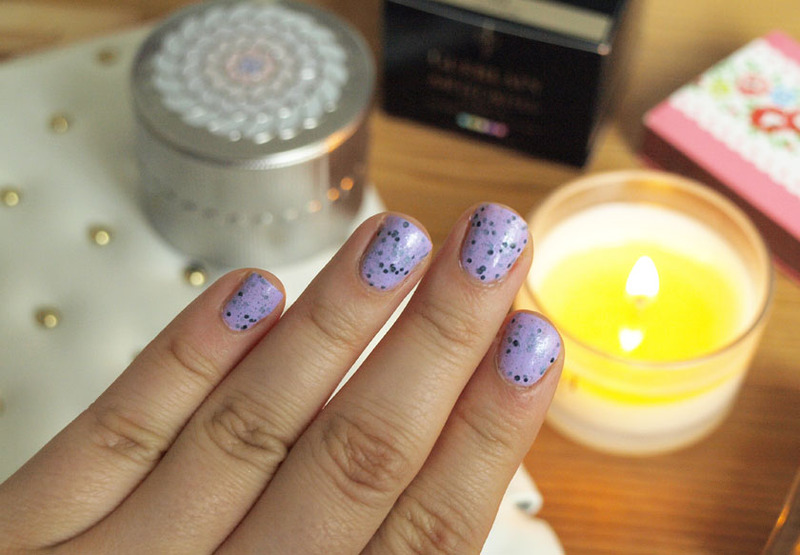 Unfortunately, the speckled effect nail polishes were part of the I'mperfection Collection and were limited edition, but... you can still buy them from Debenhams and Selfridges. 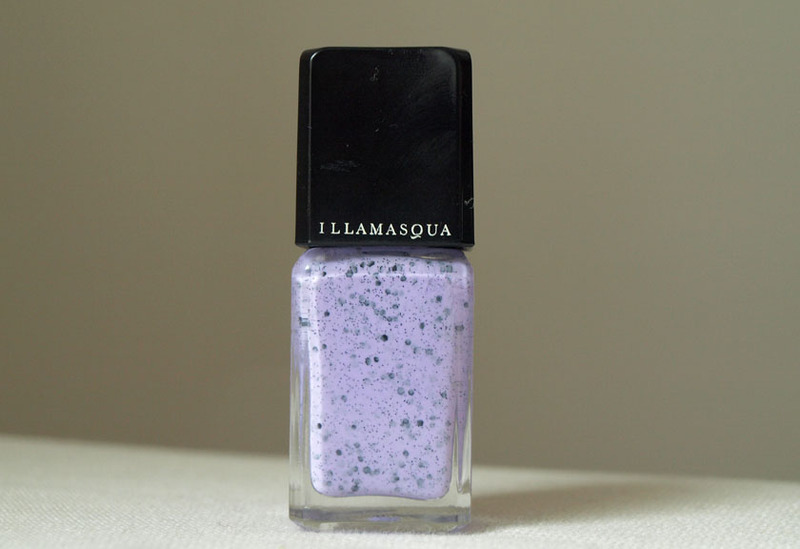 Illamasqua Speckle nail polish is a gorgeous pastel lilac shade with tiny speckles of round glitter and bigger hexagon shaped glitter. The effect is very unusual and it was inspired by the fragility and beauty of irregular markings upon bird eggs. It looks very pretty and I absolutely love it! The formula applies like a dream and dries to a smooth, streak free finish after just 2 coats. Perfect!